Instructables member Proto G isn’t just out there enjoying a passion for making, he’s passing it on to the rest of the community, in proffering a way not just to create a 3D printed stepper motor but also really explaining how one works. And people are digging it, asking questions, making their own, and pushing the open-source community forward in exactly the positive manner it’s supposed to go. 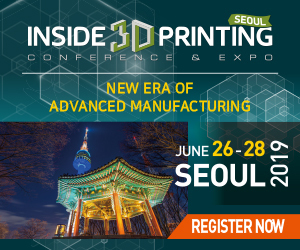 As 3D printing continues to move onward and upward, progressing with exponential success on a continual basis, the propagation of equipment in cloning itself through 3D printing is no longer a rarity, and allows numerous users–engaged in exploration–to enjoy all the benefits that the technology brings to their brave new world, in terms of open-source freedom, independence in prototyping, affordability, and self-sustainability for the future. Used as a mechanism that allows the motor to work in–you guessed it–steps, this device is composed of multiple coils that allow for phases that make the motors rotate. The stepper motor is popular among the making community because it allows for such precision, and the user has good control of speed as well. This 3D printed version was created by Anthony Garofalo (also known as Proto G), who we reported on just last week in regards to his 3D printed attachment that turns an inexpensive mechanical pencil into a wiring mechanism for prototyping. A mechanical engineer from Florida, who dabbles in electrical engineering and also spent two summers working for NASA, his projects are both concise and useful–and are proving to be worth taking a look at. “I designed this to run on a 5VDC power supply so I wound 25 feet on each nail by putting them in the drill and winding them,” said Garofalo. Designed to use a 5-12V DC power supply, the stepper motor should be compatible with most USB power supplies. It is meant to be used as a permanent magnet stepper motor which allows for 15 degree full steps and 7.5 degree half steps. All the files needed for the project can be downloaded here. The first step, along with following the Instructable, is to download the files for the dodecagon rotor and octagon stator and 3D print them for the supply list. After doing so, you’ll need your compass (and keep in mind that some smartphone compasses may work for this) for positioning your magnets. Next, press fit the bearings into the stator and rotor. After cutting and winding the wire, and positioning the electromagnets to come into contact with the stator housing, you will not only be securing the pieces but also insulating from heat produced by the coils. Next, you’ll want to push the electromagnets into the stator until they’re about 1/4″ from the neodymium magnets, according to Garofalo’s instructions, and move on to soldering everything together and loading source code to your Arduino. “I suppose that someone could design it a little different to work as a z-axis stepper motor for a 3d printer,” Garofalo told 3DPrint.com. As more and more makers pump out their own 3D printers, we see numerous creative ideas, from making them with Legos to producing entire 3D printing labs for young kids on a compact scale. Many experienced 3D printing enthusiasts are producing their own equipment, as well as students starting practically right out of the gate with affordable, functional, and aesthetically pleasing machines, as we’ve reported with one Arduino-based 3D printer which can be made for under $70 or the highly utilitarian 3D printer such as the ScrapRap, made for under $50 with used parts. So, while it’s no surprise to see that the stepper motor can be 3D printed now too, it is enlightening to see how simple the process can be, while including the need for a fairly short list of supplies. To enter the giveaway, just subscribe to his YouTube channel, and ‘like’ this video. Leave a comment on the video regarding what you’d like to see him build next. Choosing one random subscriber from the comments, Garofalo will pick the winner on September 1. Is this a design you are interested in building yourself? Will you be entering the giveaway? Discuss in the 3D Print Your Own Stepper Motor forum thread over at 3DPB.com.